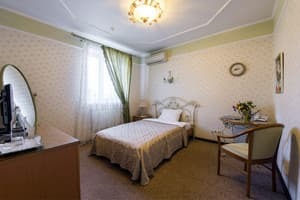 The mini-hotel "Oselya" is located closer to the central part of the city, in the private sector, near historical sights and the business part of Kiev. 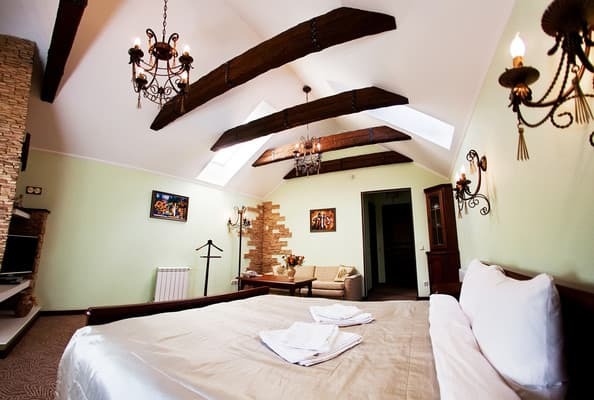 Only 7 rooms, each with its own history and individual design. 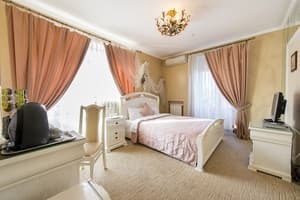 The equipment of the rooms corresponds to the level of 4 stars, the rooms are filled with books, home memories and travel items. 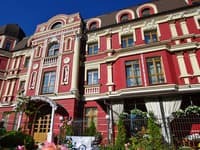 Hotel "Oselya" has its own garden with areas for rest. Unlimited Wi-Fi throughout the hotel and its own secure parking. The nearest metro station. 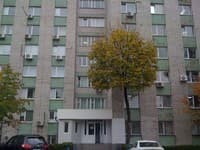 - "Vasilkovskaya". 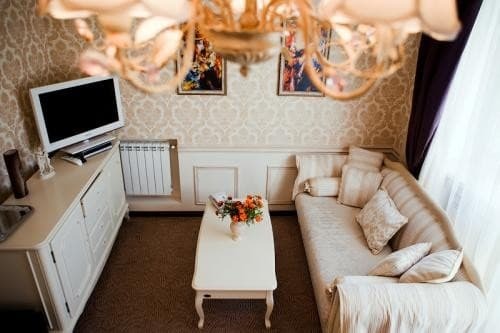 The distance to the railway station is 7 km, to the airport "Borispol" - 32 km. Description of the room: Room for the lark. The sun appears in it before it goes to heaven. 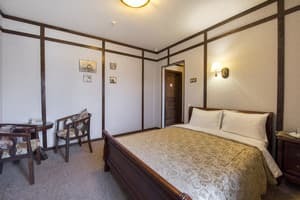 The room has a large double bed, air conditioning, minibar, TV, windows can be blinded for a complete blackout of the room. Bathroom with hydromassage shower. Room has a sunny balcony and terrace with a table and chairs. Children under 3 years without extra beds are accommodated free of charge. The cost of extra bed for an adult is to be specified at the time of booking. 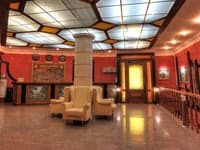 500 meters from the hotel is the restaurant Kozachok. 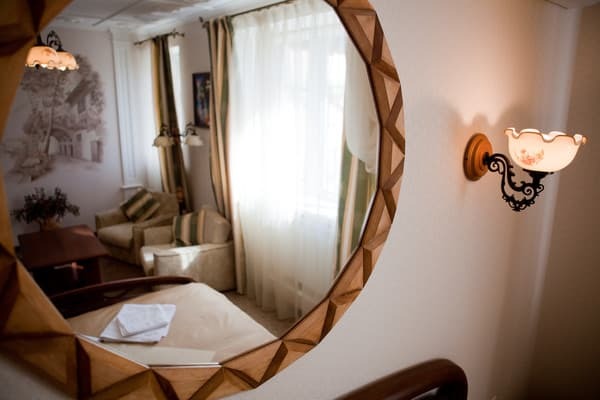 Guests of Oseli 10% discount. You can also order dinner or dinner at the hotel. Breakfast is included in the room rate. 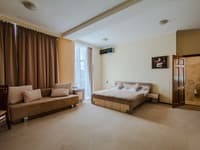 The hotel is located in the private sector, 7 km from Zhuliany airport and the main railway station, 9 km from the historical center and 32 km from Borispol airport. Free transfer to / from the metro Vasilkovskaya on the hotel car (to clarify the freedom of the car can be at the reception).